Scroll down to see a continuing campaign of this Gifts We Love Floor Graphic at Macy’s. Macy’s is not shy about flagging the best of their gift choices in your behalf throughout the store, high, low and intermediate elevation. Keep you eyes peeled for these gift suggestions. 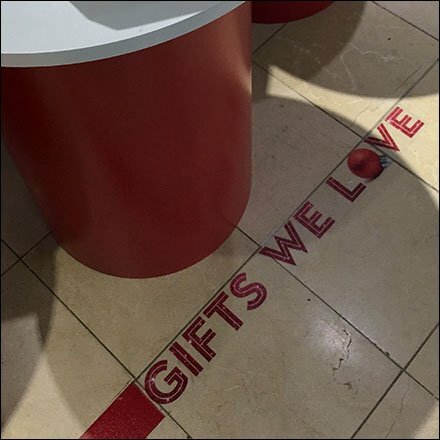 This Gifts We Love Floor Graphic at Macy’s seen center store.